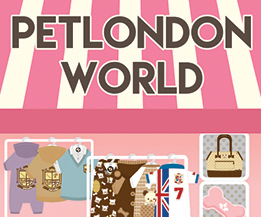 Designer dog dresses, tutus & outfits for fashion consciousness modern dog living in London. Unmatched in choice in London and online for dog dresses, t-shirts, tops and coats specifically designed for female girl pets. 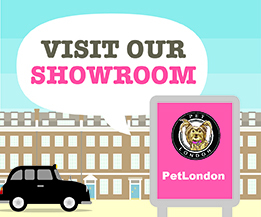 If you love pink and pretty things for your dog you will find them here! From formal evening dog ballgowns and more casual printed summer dresses to pet jumpsuits and cute rainbow tutus.. The girly section has a range of colours including the classic princess pinks, purples, and pastels with girly motifs and decorations. Watch out for the pet glitter & sparkles.